One of the most dynamic personalities in the worlds of fashion, textiles, and interior design-and hands down the most vital, witty nonagenarian in the solar system-Iris Apfel is a true original. Astute maxims, anecdotes from childhood to the present, essays on style and various subjects-from the decline of manners to risk-taking-fill the book, as do lists proclamatory, revelatory, and advisory. 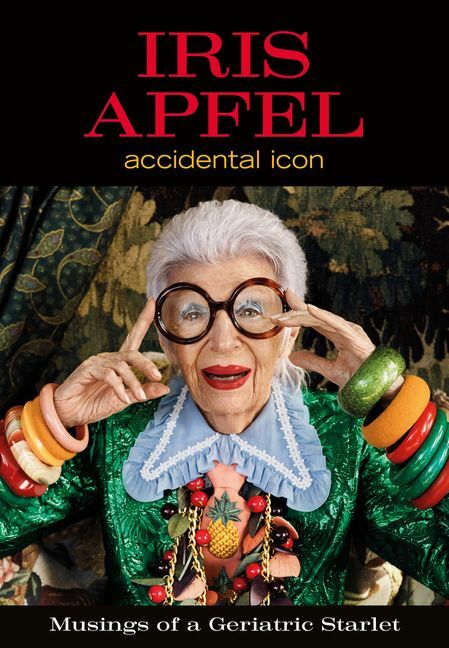 A bold, highly colorful design that varies from page to page presents a characteristically improvisational pastiche of vibrant images including personal photographs and mementos, images from top international fashion photographers, specially commissioned art by renowned illustrators, and a range of surprising novelties.